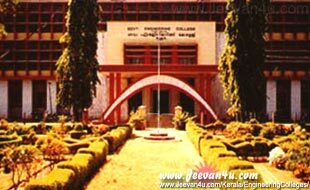 Government Engineering College Thrissur (Trichur) (GEC-T), one of prominent professional colleges in Kerala was established in 1957. Thrissur engineering college is moving ahead and is now one of the most prestigious hub for technical and profession oriented education centres in Kerala. Being affiliated to the University of Calicut, the engineering college campus is spread over an area exceeding 75 acres and is operating from at Ramavarmapuram, five kilometres from Thrissur town. 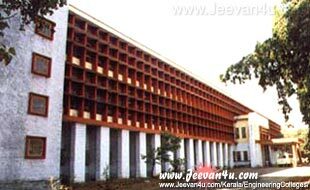 The Government Engineering College Thrissur is offering regular B-Tech courses along with Post-graduate Courses in Master of Computer Applications (MCA), and Post graduate programmes in various other subjects. Courses offered by college has also been approved and accredited by the National Board of Accreditation (NAAC). The Government Engineering College Thrissur (GEC-T) offers the following undergraduate Bachelor of Technology Degree programs and admits about 600 students every year. The Thrissur Government Engineering College also offers 'Masters of Computer Applications (MCA)' three year course and admits 30 students every year.